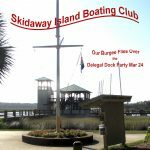 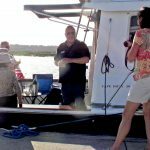 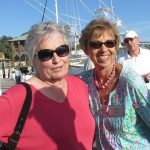 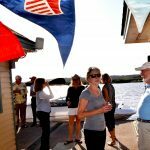 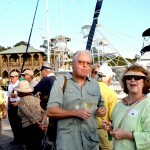 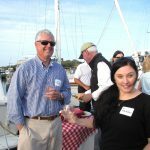 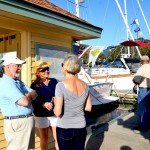 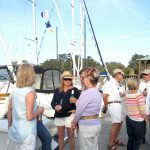 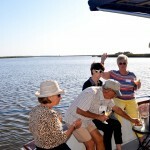 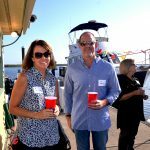 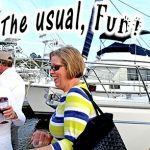 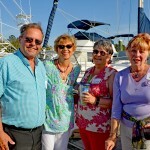 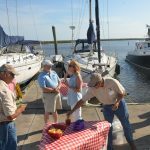 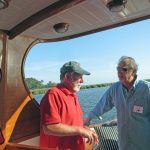 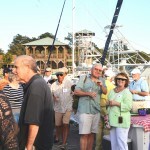 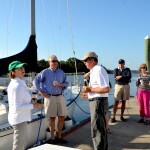 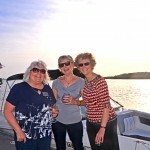 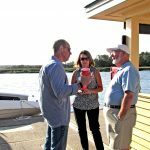 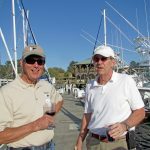 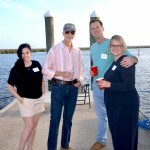 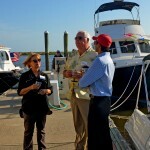 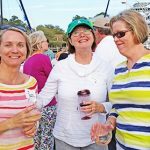 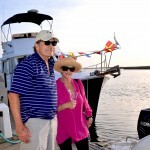 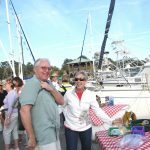 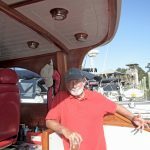 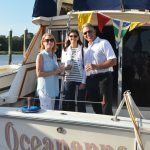 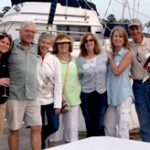 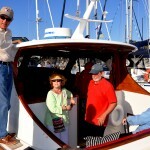 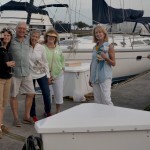 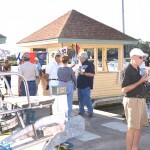 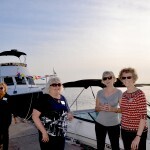 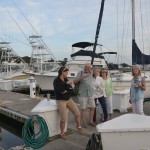 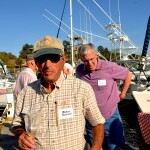 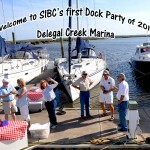 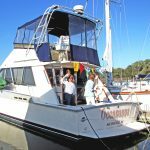 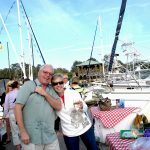 Delegal Dock Party - Skidaway Island Boating Club, "SIBC"
You can count on SIBC to party-hardy on the docks at Delegal…. 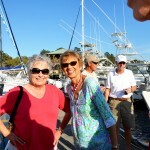 and look pretty at the same time! 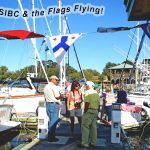 The party flags flew and everyone had fun. 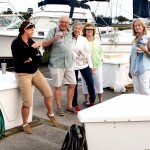 Paulette’s behind the camera “Over there”.